Kendall Square coming to Old Bayside Expo? Could be! The residents of Dorchester and South Boston have been waited with bated breath to see what will become of the now empty lot of land that was once the Bayside Expo Center site. After a year of launching its search, UMass Boston who owns the property could be making a decision very soon. According to an article in The Boston Globe by Tim Logan, UMass Boston has narrowed it down to just a handful of developers and is hoping to make the big reveal this fall! According to the article, UMass is envisioning, a potpourri if you will, of housing, retail, restaurants similar to a Kendall Square. Ideally UMass would like a proposal that would include growth for the university to expand in the next few decades. To refresh your memory, this lot of land was considered a potential spot for the Olympic Village as part of Boston 2024 and just recently Bob Kraft was hoping for a New England Revolution soccer stadium. The proposal was shutdown after lack of transparency and input from the public and local elected officials. This property is right across the way from the new development taking over the Boston Globe site on Morrissey Blvd. in addition to the renovation of the Mary Ellen McCormack Housing Development in Southie. Finger’s crossed they fix the rotary from hell! Let us leave you with this, Rob Griffin from the real estate firm Newmark Knight Frank who was hired to handle the sale told the Globe, “I’m as excited about this as anything since the Seaport got started,” Griffin said. “It’s a blank canvas.” Oh boy, let’s hope this new project is planned a little bit better! The state, the City, and residents and elected officials in neighboring parts of Dorchester and South Boston will most likely need to weigh in on the proposed project. Anything would be nice. That parking lot is a massive waste at the moment. I thought the STATE LOTTERY was moving from their Braintree LOCATION to the bayside Location??. Any word on this..
No one from southie has EVER called them scratch offs. It sounds like re-developing the old Bayside Expo area into a mixed-use area (i. e. businesses, residences, etc. ), as was done with Somerville’s Assembly Square area (which is now a mixed-use area called Assembly Row) would make the most sense. I hope they add a large area of climate resilient green space coming in from the bay. Something they forgot to do in the Seaport. Care to elaborate? 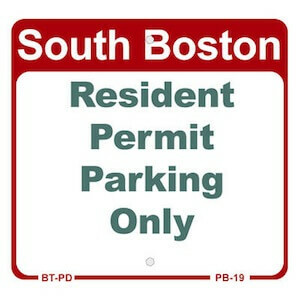 Do you mean “Why Leave Southie”? or “#BestNeighborhoodEver”? or “NIMBY’s GTFO”? The neighborhood will be ‘bookended’ with that project, Washington Village and the Old Edison Plant. That’s all. Nothing sinister or nimby or whatever else seems to bother you, which seems like quite a bit.